We believe newsletters are much more than email. This statement often generates a quizzical look, but we explore the difference in more depth here. Most organizations group newsletters with email marketing as they (for the most part) leverage the same creation and distribution tools. That needs to change. The value of newsletters is connecting with your audience directly, communicating in a conversational manner, and working to help your reader make sense of some part of the world. Newsletters are having a resurgence because these have been sorely lacking. The opportunity to build out these skills is far greater than creating an email campaign. We will be doing a number of posts on the topic, and would love to speak to any of you in the newsletter industry. 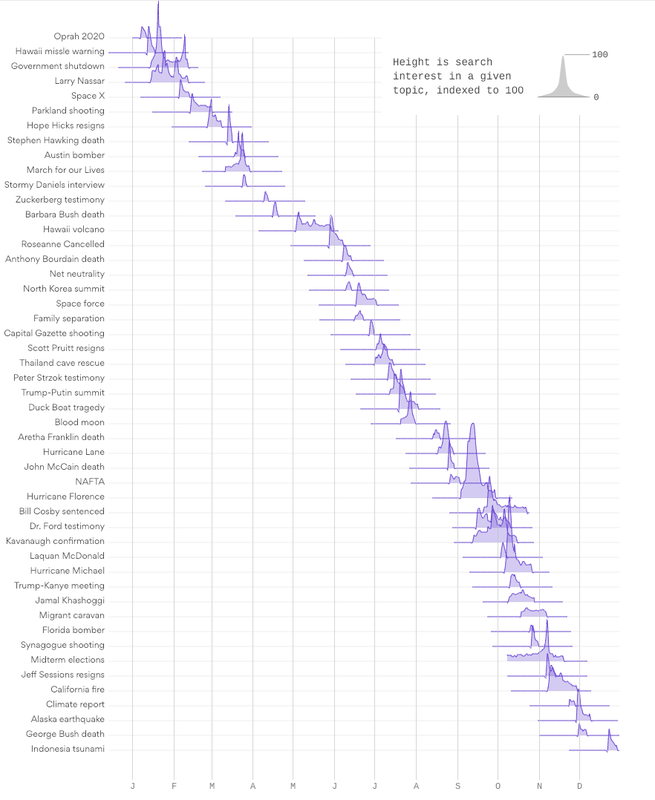 If you opened this newsletter (which you did as you’re reading this) click onthis joint project from Axios, Google Trends and Schema Design, that measures the dedicated attention to trending news stories throughout 2018. The entire report serves as part data-driven retrospective, and part reminder that we collectively have the attention span of fruit flies. Well, a little bit better, as the cycles for the biggest stories lasted for a median of 7 days. The Axios summary is here. We love finding value in unexpected places. 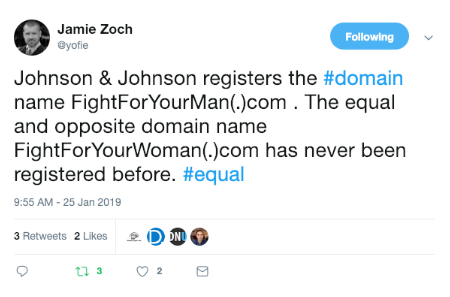 A Twitter account we’re a bit obsessed with is that of domain name specialist Jamie Zoch, who scours public records for interesting URL purchases. 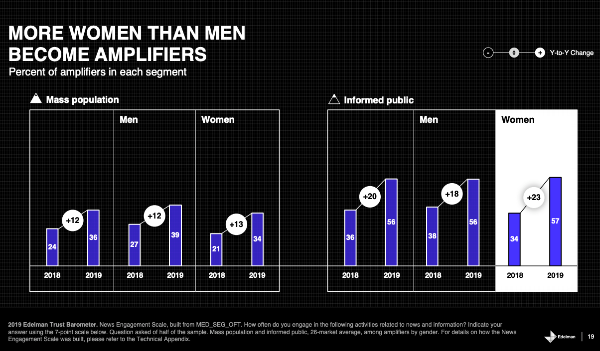 Edelman released their 2019 Trust Barometer report, a yearly survey that covers a subject that feels increasingly pertinent. 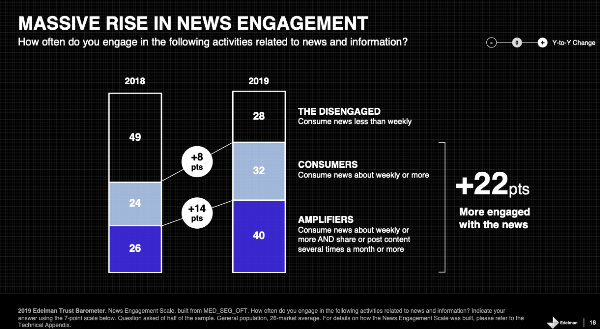 We’ve pulled the news consumption-related slides, and highly recommend reading the entire thing. 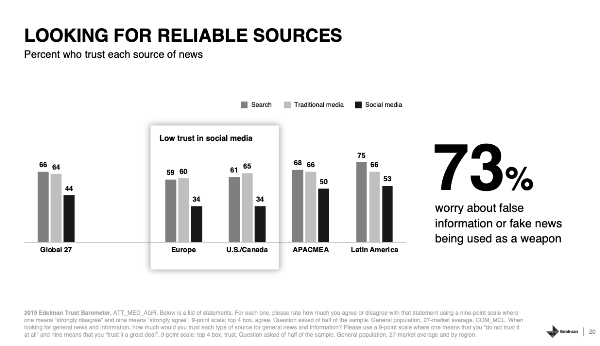 The most trusted entity globally was “My Employer” with 75 percent approval compared with Non-Government Organizations (NGOs) at 57 percent, business at 56 percent, government at 48 percent, and media with 47 percent. 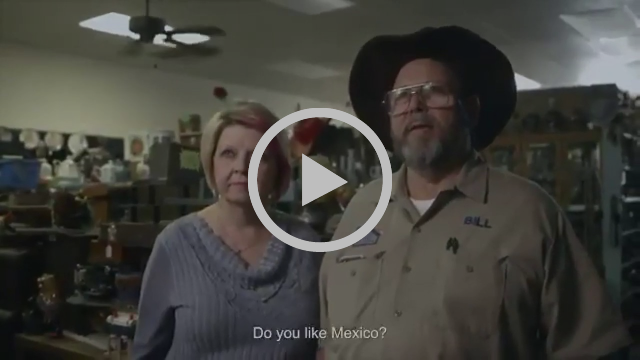 If a tree falls in the forest and no one’s around…..
You may have seen that viral Aeromexico ad in your feeds, the one where they offer a discount to Americans who take a DNA test and can prove they have any Mexican heritage. If you’re 10% Mexican, 10% off your ticket? It’s certainly a creative and timely effort. But timeliness may be deceiving. The video was released in June 2018 by Ogilvy Mexico, but had no distribution budget and just floated away into the content ether. It was after the video was shared via parent company Ogilvy’s massive social reach that things took off in January 2019. While the campaign fit perfectly with the Jan 2019 zeitgeist, it’s a great reminder to always manage buy-in from the people who control the distribution. (Editor’s note: it’s still a bit fuzzy whether the discount itself does, or ever did, exist). A perfect tagline from the Vox daily newsletter. If you need a general news roundup that helps you make sense of the cacophony of the daily news cycle, this is a good starting point. They curate a few important stories each day, and then provide a comprehensive roundup of coverage. We especially commend how many external sources they incorporate into their picks. Additionally, they write really good subject lines. A lot of quality newsletters push a bit too far down the road of subject line trickery and risk their hard-earned newsletter brand equity. Not so with Vox, as they’ve perfected the short, snappy, but not overdone subject line. We’ve found sub-3 minute videos perform significantly better than 20 minute ones in newsletters (and yes, that’s probably an obvious point). 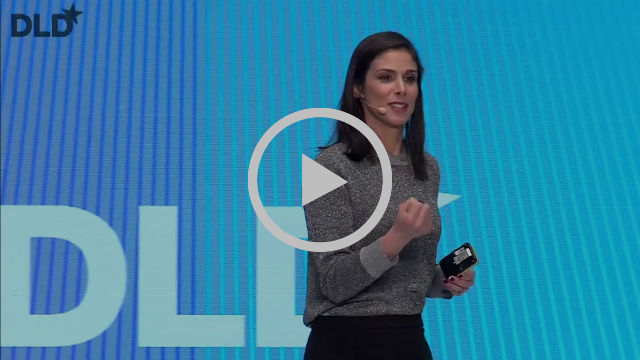 But we really wanted to end this week’s edition from this #DLD19 speech from Rachel Botsman on The Currency of Trust. It’s 23 minutes long, so we recommend adding it to your Watch Later queue on Youtube, or remember to re-open this email when you have a bit of time, but this does a fantastic job covering one of the most important business and societal themes of 2019.